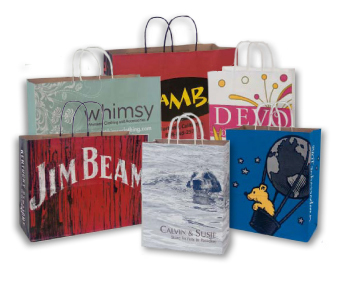 Tulsack provides sustainable paper handle bags that are custom printed, hot stamped, and many more paper bag options. As an award winning manufacturer, Tulsack is the number one supplier of sustainable bags. Running its business using environmentally sound practices, Tulsack has fully embraced going green. They have a “do no harm” pledge to the communities where they do business. This is just one of the many ways Tulsack embraces sustainable and green business practices. Tulsack has a fully automatic process for prints and converts. This means less energy is being used and waste levels are lower, making a smaller carbon footprint. All of the waste paper is gathered and sold into the recovered fiber market. This includes bag paper, boxes and all other paper. Tulsack packages their products to make the most of truck space. Every space is used as efficiently as possible. Made from 100% recycled paper, Tulsack bags are great for any retail store and much more. All products have the FSC (Forest Stewardship Council) certification. This means all the paper must come from mills that are certified by FSC. The natural kraft line contains at least 95% post consumer fiber. TulsaKraft Versa bags must contain 86%.